Damaged silo beam pocket leaves roof at risk of collapse. Beam pockets are a critical point in silo structures as roof beams hold up the roof slab and all equipment needed to operate the bulk storage system. Found during a regular inspection of the silo structure, the above pictured silo beam pocket shows a beam resting on a bearing plate to support the roof. The beam end sits on the thick, steel bearing plate. 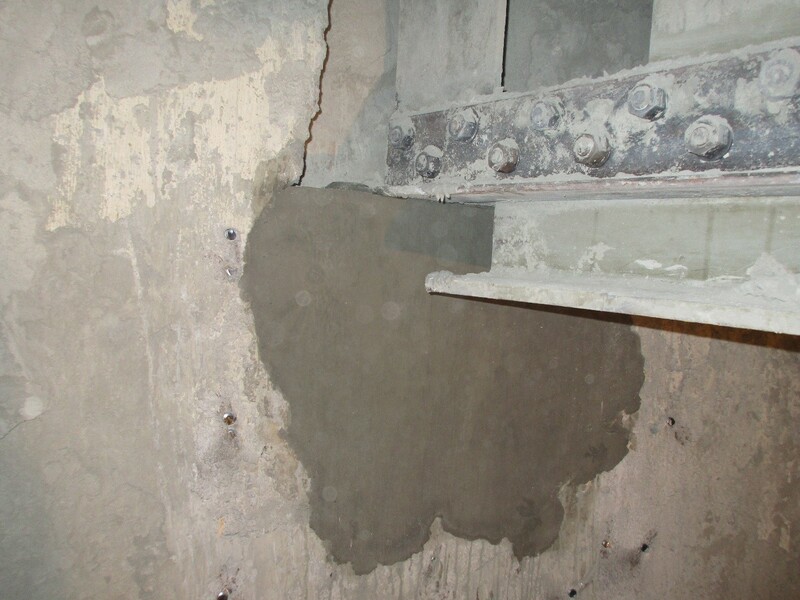 However, the concrete under the plate is spalling leaving this beam pocket at risk for failure. 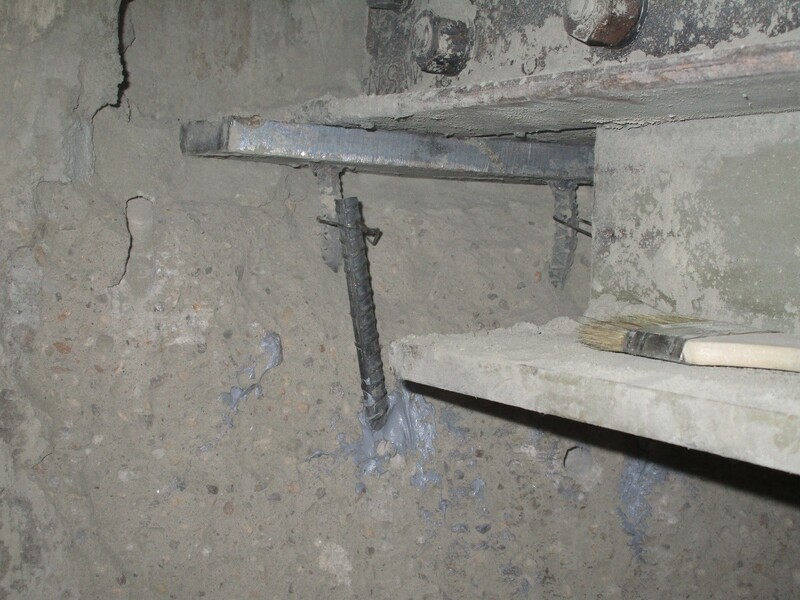 After inspection, an engineered solution was proposed to reestablish the structural integrity of the beam pocket. First, the roof beam was lifted off of the beam pocket and bearing plate to allow for repairs. The pocket was thoroughly cleaned and all loose materials removed. Structural steel was placed per engineer specifications to ensure the integrity of the repaired beam pocket. Lastly, a high strength, non-shrink grout was used, and given adequate cure time, to patch the spalled area. Once completely cured, the beam was lowered back onto the bearing plate of the repaired beam pocket. Regular inspections of all equipment are imperative to eliminate potential failures in any production system, including silos. Proper silo roof design is critical. While roofs are designed to hold equipment, they are not designed for excessive amounts of material. If a loading system fails or a silo is overfilled, creating bulk material on the roof, unseen damage can result and compromise the entire structure.